On July 12, 2011 the House of Representatives passed a bill (HR 1309) that will fundamentally change the National Flood Insurance Program, the public’s main outlet for flood insurance. The bill passed by an overwhelmingly bipartisan vote of 402 to 22. An amendment to close the whole program was roundly defeated. Senate passage is expected, though when is uncertain. The existing program was in trouble. Congress missed four reauthorization deadlines last year, meaning the program lapsed four times for several days at a time, creating havoc in the real estate and insurance markets. In addition, a lingering debt of $18 billion remains on the books from 2005 (mostly Hurricane Katrina); a hurricane in any metropolitan area in Florida or the Gulf could double that loss in a weekend. The 112th Congress is less inclined to accept these kinds of unpredictable expenses, and the bill seems to reflect this change in attitude. The National Flood insurance program has been around for decades and today is the primary vehicle for providing insurance for about 5.5 million property owners around the country. Locally, many homes from Quincy to Plymouth and hundreds more on the Cape have been rebuilt with NFIP insurance. Conceptually the National Flood Insurance Program makes sense: private insurers are reluctant to insure against losses that are geographically concentrated because of an insurance concept known as ‘spread of risk’. A single company can’t accept such concentrated risk without putting its own balance sheet on the line. The national government can spread risk better: they collect premiums for spring river overflows in the Midwest, winter nor’easters in New England, and fall hurricanes in the Gulf. The problem is that the current rates are not developed with the same detail as private insurers need when trying to make a profit. To wit, in 2006, the year after over $17 billion in losses, NFIP rates actually went down. This pricing failure leads to a problem known as ‘adverse selection’: flood insurance is a great deal if you’re really near the water; it’s not a great deal if you’re only mildly exposed to flood waters. Thus, the people at the greatest risk get the best (most subsidized) deal. This is not a formula for long term survival, or even a break-even program. Consider the findings of a 2006 Congressional Research Service study: the program operated at a loss for 19 of the previous 34 years. This spring’s midwestern floods likely contributed to pressure for overhaul. In its existing form, it is truly another disaster waiting to happen. The program has also been criticized for promoting development in environmentally sensitive coastal areas. While coastal development was seen as a positive thing 40-50 years ago, today many voters prefer to see remaining undeveloped coastal land and wetlands set aside for conservation. In the bill passed by the House, rates will be transitioned gradually to risk based premiums. 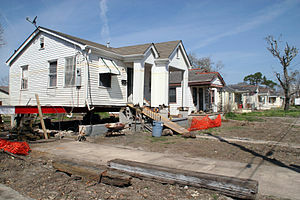 Many properties with multiple claims will see lower subsidies, and in some cases, insurance may be refused altogether. During the transition phase, annual premium increases, previously limited to 10% per year, will be capped at 20% per year. Other features include minimum $2,000 deductibles on subsidized rate properties, and $1,000 deductibles on risk rated properties. The bill also established a ‘Technical Mapping Advisory Council’ to develop new mapping standards. In short, the NFIP is transitioning in a direction toward the way for-profit companies measure and charge for risk. Because of the transition to risk based pricing, some new options will become available: annual increases indexed to inflation, and additional living expenses common with homeowners insurance. Business income loss will be offered for business properties. Importantly, the bill reauthorizes the program through 2016, which will provide a measure of certainty severely lacking in previous years. The bill’s author, U.S. Representative Judy Biggert, R-Ill., said after the vote, this “eliminates barriers to the development of a private flood insurance market, and helps take taxpayers out of the risk business. The NFIP is too important to let lapse, and too in debt to continue without reform. I urge my colleagues in the Senate to speed this legislation to the President’s desk.” Locally, Congressman Bill Keating of the 10th Congressional district and Stephen Lynch of the 9th, both voted for the bill. More detailed summaries of the bill are available at thomas.gov site linked here. If you are in a n A, B, or X zone, getting an Elevation Certificate from a qualified engineer may help you especially if you are on or near the border of a lower rated zone (Your home might be in a better place than the map says). 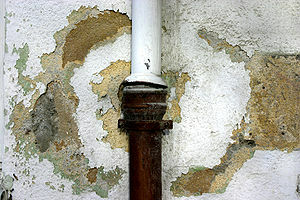 For more about coastal insurance for your home, visit www.agordon.com/home. Consider mitigation practices such as those recommended by FEMA and other construction experts. The bill had broad support from insurance companies and agency groups for improving the predictability and sustainability of the program’s future. For more about what you can do to contain the cost of insuring property along the coast, visit www.agordon.com/home for more.